The F-117 is an air-to-ground stealth strike aircraft. It has been developed by the American company Lockheed Aeronautical Systems for the United States Air Force during the cold war. 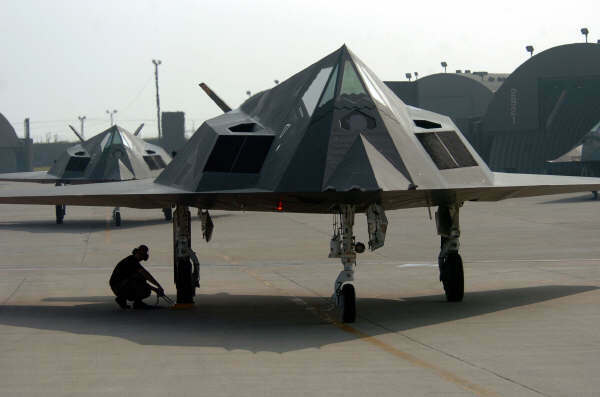 The F-117 was developed with technologies learned from the F-16 and other advanced stealth technologies. The F-117A Nighthawk is worlds first operational aircraft with low noticeable characteristics (stealth). The first aircraft was manufactured in 1982 and the last one in 1990 with a total of 54 Aircraft for the USAF. On 1990 at Nellis AFB the F-117 was first shown to the audience. The USAF is thinking to discharge the F-117 in 2018 and replace it by the F-22 Raptor. The USAF has now the ability of the stealth F-117 Nighthawk, stealth B-2 Spirit and the stealth F-22A Raptor which gives the US an incredible Military Power. The first mission was in 1989 in Panama. 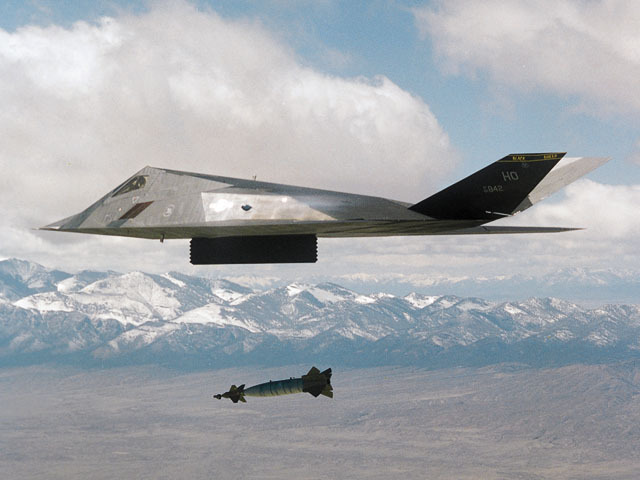 After that the F-117 is used during Desert Storm and has dropped during the whole war more than 2000 ton bombs. The aircraft dominated the air above cities which were protected with 3000 pieced anti-aircraft guns and 60 anti-aircraft missiles. No F-117 have been shot. 24 F-117's were also used in Yugoslavia to support NATO air forces. At the same time with the invasion in Iraq, Washington send F-117's to South-Korea. At 18 october 2002 the Austrian air-controls noticed a American DC-10 which deviated from the permitted air-route. Quickly, 2 Austria fighter jets toke off to see what happened. When they arrived they where very surprised. It was not a normal DC-10, but a USAF KC-10 Extender with on each wing a F-117 Stealth airplane. 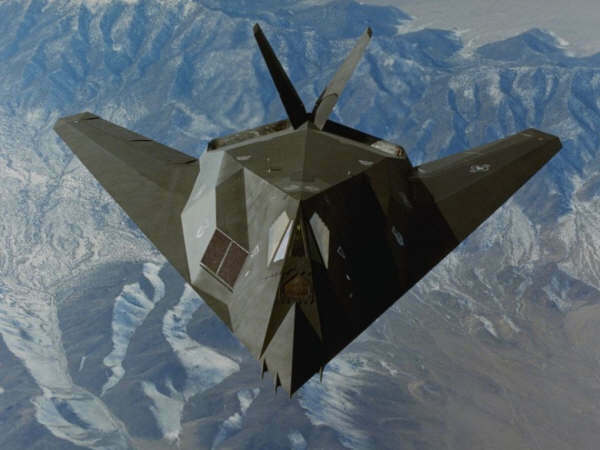 The F-117 has imitated navigation and attack systems which increases the effect of the mission. Further the aircraft has a special developed automatic mission planning system for mission in heavily defended areas. The stealth technology wa dominated to each other aircraft in the world but has been overruled by the F-22 and F-35.